Jenni + Jim got married at the beautiful Omni Bedford Springs Resort. If you’re looking for a lovely historical location for your wedding that’s within easy distance of Pittsburgh, this is a place to check out. Originally, the plans were to have the ceremony outdoors, but Mother Nature had different plans for the day, so the couple made the decision to move their ceremony indoors. Even with the change in plans, the staff at Bedford Springs took it in stride and had everything set up quickly and the ceremony went smoothly. 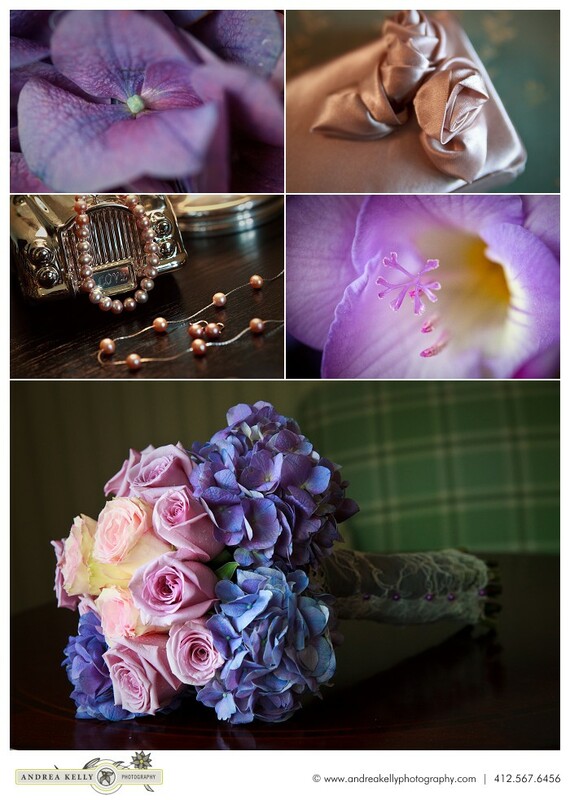 Jenni went with muted purples and blush pinks for the wedding flowers and her jewelry. 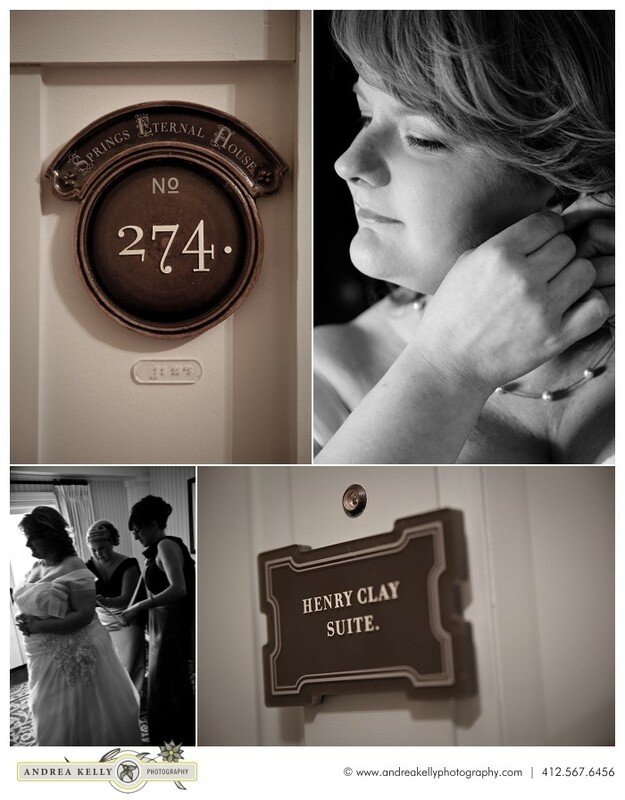 The Henry Clay suite was the room that Jenni got ready in – it was a gorgeous room with a pretty view. After spending some time with Jenni while she was getting ready, I went over to see Jim and got some photos with him. The couple had plans for an outdoor ceremony and while we always hope for perfect weather, sometimes nature has different plans. Due to rain, the ceremony had to be moved indoors, but both Jenni and Jim were laid back about the plan change and the Bedford Springs got everything set up quickly so that everything was able to proceed on time. After the ceremony, the rain slowed a little bit and while it was still misting a little, the couple was willing to go outside for a few minutes to get some photos. One of the things that I love about the Omni is all the windows in the ballroom area. For their wedding cake, they used a pretty pale blue color and they used elephant figurines for placecard holders – elephants with upturned trunks are supposed to represent good luck and fortune, so I thought that they would make a good holder when getting a detail of the wedding rings. You can just tell how much in love they are in their first dance.